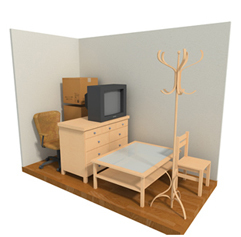 What will fit: The contents of one large closet. This size is ideal for seasonal decorations, personal items, gardening equipment, camping gear, children's toys, or off-season clothing. 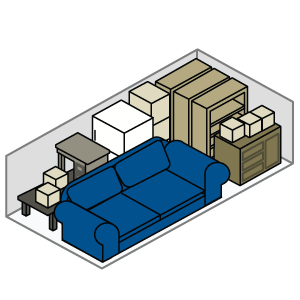 What will fit: The contents of one bedroom or dorm room, such as a mattress set, couch, table, chairs, and boxes. 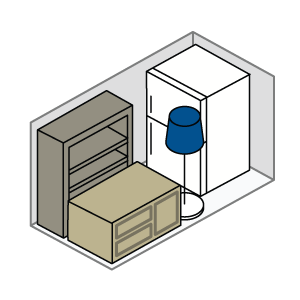 What will fit: The contents of one large bedroom, such as bedroom/living sets, refrigerator, large drawers, shelves, and multiple boxes. 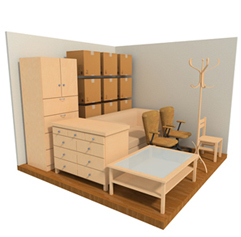 What will fit: The contents of three to four rooms, such as multiple bedroom sets, large appliances and patio sets. 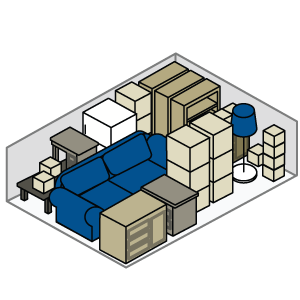 May also fit smaller cars, boats, and other small vehicles. 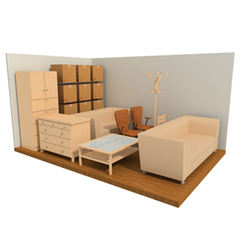 What will fit: The contents of a two to three-bedroom house, such as multiple bedroom sets, and large furniture. 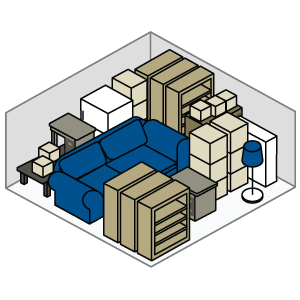 Can also fit trucks, trailers, and other mid-size vehicles. 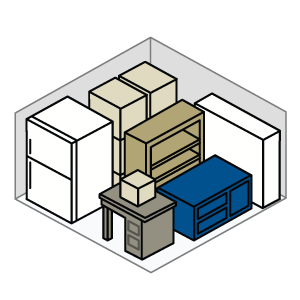 What will fit: The contents of a four- to six-bedroom house, such as mattress sets, large furniture, major appliances, seasonal items, outdoor equipment, and bikes. 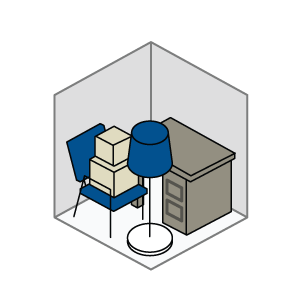 Will fit most vehicles. Looks like: A large car garage. 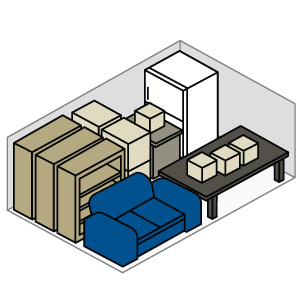 The largest unit size at our facilities.